The Disability Justice Network of Ontario is a Hamilton-based organization launched in September by McMaster alumni Sarah Jama and Eminet Dagnachew and McMaster student Shanthiya Baheerathan. The co-founders initially got together because of their aligning interests. For instance, Jama was working with the McMaster Students Union Diversity Services as an access coordinator, trying to push the university to create a service for people with disabilities. “I always think that there is more that could be done, that the institution doesn’t do a good job of supporting people with disabilities in terms of responding to professors who don’t want to accommodate. There is still a lot from what I’m seeing as a person who has graduated,” said Jama. Last year, the co-founders received an Ontario Trillium grant over 36 months to create and run the organization. The basis of DJNO is to pose questions to the community of people with disabilities to see what it is they want to work on and how DJNO can use their resources to support the community it serves. One of DJNO’s larger goals is to politically activate and mobilize people with disabilities who consistently get left out of conversations that affect their lives. 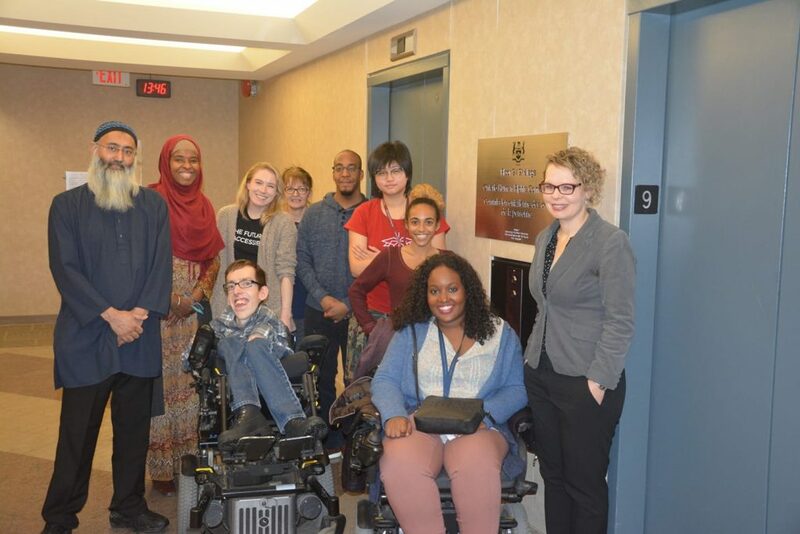 “Our goal is to politically activate and mobilize people with disabilities across the city and the province over time and to be able to hold the institutions and places and people accountable for the spaces that they create,” said Jama. The research committee for DJNO has recently been working on data collection for a study on issues for racialized people with disabilities. According to Jama, there is a lack of data collection on this subject. The DJNO also has a youth advisory council that teaches people with disabilities how to politically organize. In just a few months of being in operation, the DJNO has hosted several events, such as a community conversation event about the Hamilton light rail transit project, a film screening and panel discussion about Justice For Soli, a movement seeking justice for the death of Soleiman Faqiri, who was killed in prison after being beaten by guards. The film screening and panel discussion was organized alongside McMaster Muslims For Peace and Justice and the McMaster Womanists. On March 26, the DJNO will be hosting an event called “Race and Disability: Beyond a One Dimensional Framework” in Celebration Hall at McMaster. Next week, the DJNO will also be organizing a rally with Justice for Soli in order to speak out against violence against people with disabilities. “The Justice for Soli team has been tirelessly advocating for justice, accountability, sounding the alarm of deeply systemic issues in the prison system, namely the violence that it inflicts on racialized peoples, and people with disabilities,” reads part of the event page. For McMaster students interested in getting involved with the organization, DJNO has some open committees and is looking for individuals to help identify major community issues. The campaign committee meets at the Hamilton Public Library monthly. Students can email info@djno.ca for more information.